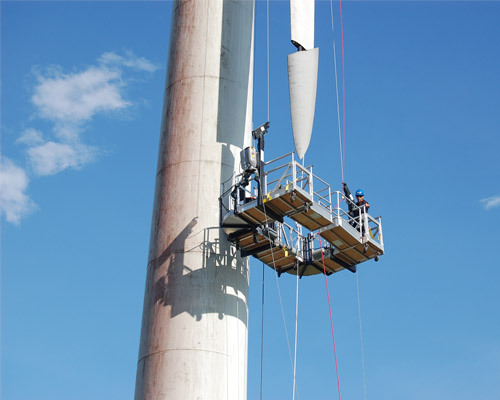 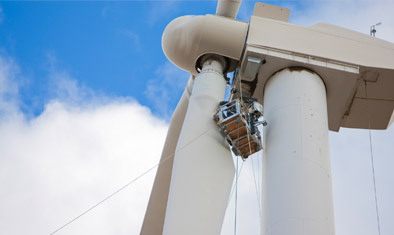 Spider's range of wind turbine scaffolding and suspended access solutions puts workers on the blade or tower surfaces for the full scope of work performed at height. 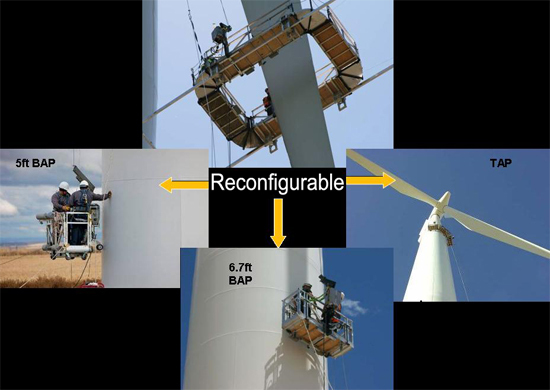 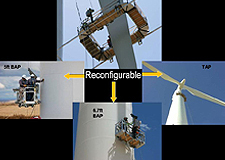 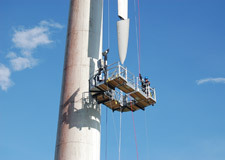 From single point tower access inspection systems to 360° blade access platform solutions to specialized custom designs, Spider has the modular platform components, ease of supply and transportability, engineering expertise, and installation know-how to get wind turbine repair work done safely and productively. 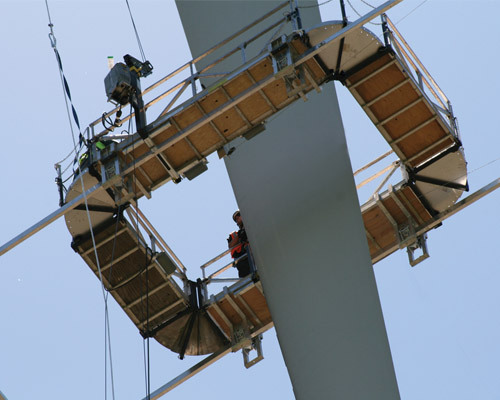 We offer a variety of suspended modular platforms that offer safe, productive, and cost-effective alternatives to cranes, ground-based lifts and rope access solutions, taking your wind turbine maintenance investment farther. 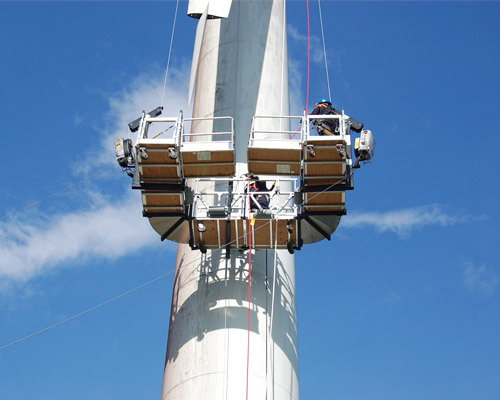 Reconfigurable for blade access inspection or tower access, our modular platforms and scaffolding are made in the US and available for rent, sale and aftermarket support in Spider’s 25 locations in the Americas. 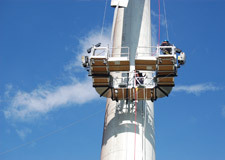 And we offer Wind Access Safety & Training courses to keep you working safely and compliantly at height. 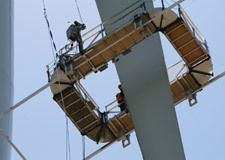 "We love how modular the 360 BAP is.